2008 seems like a long, long time ago in many ways. To put that year in perspective, during 2008 the iPad wouldn't exist for two more years to come; Vista was the most up to date Windows operating system; Barack Obama was about to become the first African-American U.S. president; The U.S. space shuttle was still making flights to space; Hardly anybody was accessing websites on mobile phones, and back then you didn't have to have a million dollars to own a home in Vancouver. 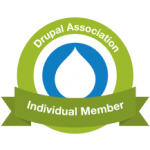 If your website was built with Drupal 6, how does this impact you now? Drupal 6 will no longer be supported by the community at large. The community at large will no longer be creating new projects, fixing bugs in existing projects, writing documentation, etc. for Drupal 6. There will be no more core commits for Drupal 6.x nor its associated modules. The security team will no longer provide support or Security Advisories for Drupal 6. All Drupal 6 releases on project pages will be flagged as 'not supported'. Do nothing. Practically speaking, your site may be fine for a while to come but eventually it will become more vulnerable to the point where it may become hacked. Note: This scenario applies to any content management system that is no longer supported, whether it be Drupal, Wordpress, Joomla or others. Have your site rebuilt with the highly stable and popular Drupal, version 7. Leapfrog by having your site upgraded to, or ideally rebuilt in the newly released Drupal 8 as it matures in the latter half of 2016. If you have a Drupal 6 site, the chances are it is not mobile friendly (meaning it changes its layout for mobile, tablet, laptop and desktop screen widths) and this fact alone may be compelling enough to upgrade given that websites now are actually accessed more often by a mobile device than a computer. Additionally, Google now penalizes websites that are not mobile-friendly (aka: responsive). Times have changed and it's crucial to look towards the future and not merely where technology is today. That philosophy will allow your site to remain practical for the most important consumers of your content - your customers. Contact us at PureWebMedia to explore options to keeping your CMS site up-to-date and protected.